Discover the best attractions here in UAE and truly get to know the one of the most beautiful and safest country in the world. All air lines Tickets available at Best Price. 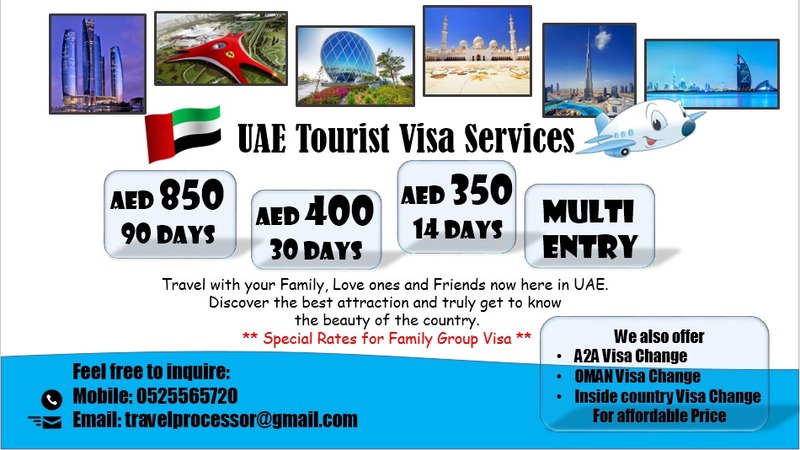 All UAE tours at Best Price and Excellent Service. *DOCUMENT NEEDED: PASSPORT COPY & PHOTOGRAPH (SOFT COPY).